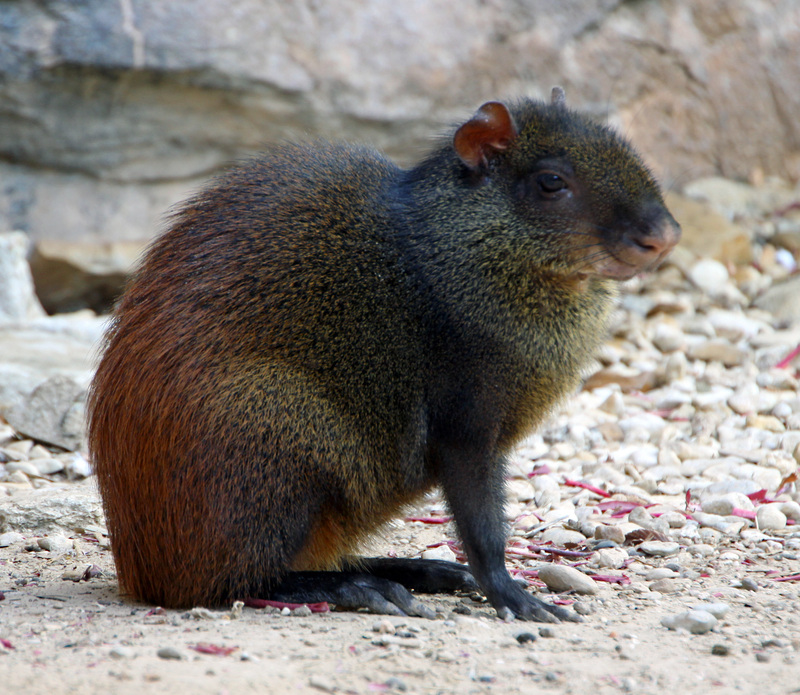 This forest dwelling mammal can be found from southern Mexico to northern Argentina and has also been introduced to the Cayman Islands. They are fast runners and good swimmers. The female agouti digs separate dens for her young and for herself.